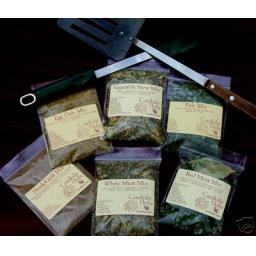 Based in Spilsby in Lincolnshire, we specialise in all types of Herbs. Turn the simplest dish into a delight and boost good cooking into the 'Gourmet' class. Developed and refined over more than twenty years, our Cooking Mixes make cooking fun, easy, economical and very versatile. 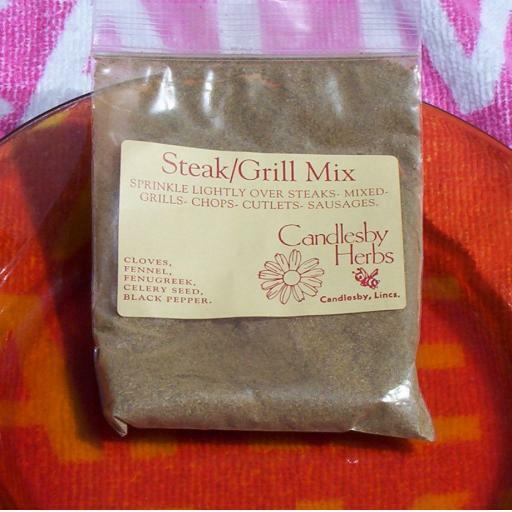 Despite the classical nature of the blends, we have been careful not to include neither Garlic nor Salt. These can be added by those that wish to use them. The Mixes, being 100% plant based, are suitable for vegetarians or vegans. The 'Titles' are only suggestions as to where the flavours would be suitable. but, like all Dried Herbs, are best stored in dark, air-tight containers. To use the Mixes, just add a pinch to an appropriate dish to add 'that something extra'! 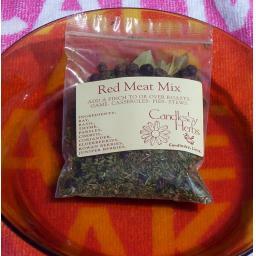 This mix is ideal for Steaks, Chops, Sausages, Mixed Grills, Cutlets and Barbecues. It is a powder format and has a powerful flavour. It should be dusted, lightly, over the food prior to cooking - and is delicious! The mix includes Fenugreek, Fennel, Clove, Black Pepper and Celery Seed. Q. How are the plants packaged? A. We pack your plants in a ‘semi-bare-rooted’ condition in plastic sleeves which are in turn packed in a snug-fitting custom-made cardboard carton. This method of packaging we have evolved over the last thirty + years and, though it looks simple, meets all the normal requirements for safe, effective delivery through the postal system. The other advantages of this system are that it guarantees the vital root disturbance when potting up or planting out, minimizes the import of ‘foreign’ soil to your garden, and holds the plants firmly by the root during postage not by the leaves or stems. Q. When do you dispatch? A. We dispatch plants daily Monday to Thursday (Bank Holiday weeks excepted) as a weekend in a sorting office somewhere does nothing good for the plants! Non-plant items may bedispatched any working day of the week depending on the Markets being attended at the time. Q. Is the photo in the listing a picture of the plant I will receive? A.No. The pictures are only ‘illustrative’ of the plant. This is the norm in the horticultural industry. As a moments consideration will show, it would be impossible to do otherwise. It must also be appreciated that the time or season of the year must be taken into account when formulating expectations. We do not want to disappoint any customer, but we work with nature – we cannot control her! item, and a valid reason be given for complaint. It should be noted in this respect that plants, being ‘perishable’ are specifically excluded from the ‘Distance Selling Regulations’. However we do try to be reasonable at all times.